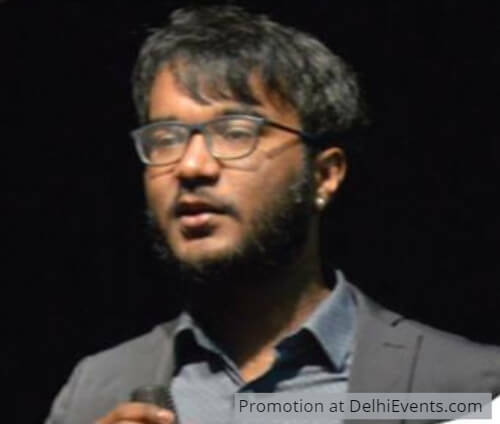 Neelakantha Bhanu Prakash is a 19 year old speaker, educator and a World Record holder. Bhanu Prakash has earned his nickname “The Number Prodigy” because of his superhuman ability in doing complex mathematical calculations at unimaginable, amazing speeds. His most popular World Record is the “Fastest Human Calculator” - which includes adding a randomly selected two-digit number (37) to itself 41 times in 15 seconds without the use of a calculator (outdoing the calculator’s speed). After studying some of his calculations, it was seen that his mind was processing at an average speed of 12 num/sec, which is 10 times faster than a regular human brain. In many of his demonstrations, it was seen that his mind calculated faster than a calculator and hence he exactly knows what it takes to be a Number Prodigy. Bhanu Prakash has featured as a key speaker at many national and international conferences including TEDx. He strongly believes in the fact that the Human Brain has immense calculation abilities and that everyone out there can harness it, by regular mind exercise and practice. Seeing his demonstrations, students/people have been motivated to be quicker and more accurate in number crunch.